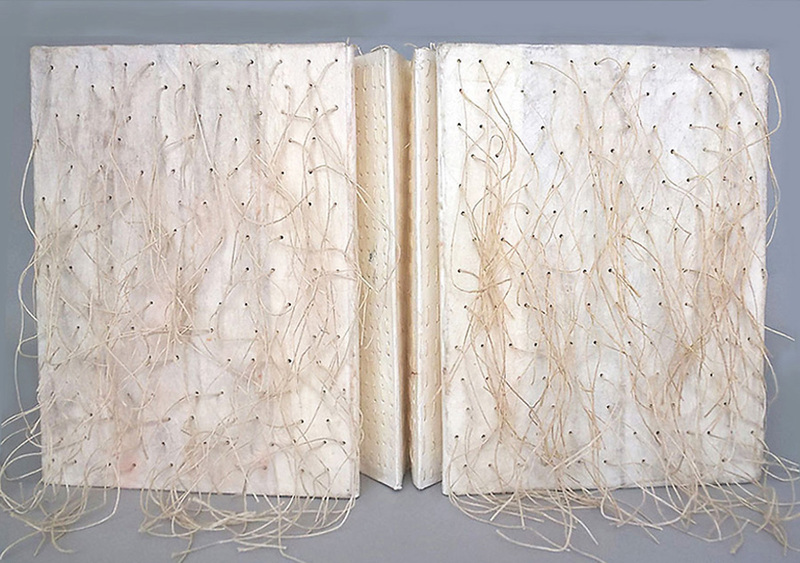 “FORMATION”: The Guild of Book Workers 2018-2019 Traveling Juried Exhibition is currently showing at UCLA! I am extremely honored to have two pieces in FORMATION, The Guild of Book Workers 2018-2019 traveling juried exhibition, with a theme evoking a wide array of interpretations. “Simply defined by Merriam Webster as “an act of giving form or shape to something,” ‘formation‘ can insinuate process, history, creation, change, beginnings, an arrangement, botany and landscape, personal narratives and impersonal storytelling. As artists, designers and craftspeople with our own histories that form us, we also play a vital role in the formation of objects and experiences; pulp molded into paper, paper folded into books, books shelved into a library.